Many new business owners ask, “What is the best business structure?” The answer you’ll get from a business lawyer is usually, “It depends.” Depending on what a business plans to do and how it plans to do it, different business structures suit different plans. Keep in mind that without a clear plan for what your business will look like and what it plans to do, it will be hard to accurately choose which business structure will best meet your needs. A short summary of the most common business structures may help you decide which structure is right for you. This is the most common business structure type in the United States. There is a single owner, with no legal distinction between the business and the owner. A sole proprietorship is very easy to organize and begin. Little paperwork and no capital is required. The lack of paperwork allows the owner to focus time on growing the business and helps avoid other costs associated with large amounts of corporate paperwork. The owner can run the business however they want. Some creditors like to give loans to sole proprietorships because there is no “corporate veil” preventing the creditor from accessing the owner’s personal assets in the event of a default. The owner receives all profit, with no responsibility to report earnings to the public. The tax issues involved with sole proprietorships are simple—a sole proprietor is responsible to report all business profits as personal income. Although it may offer some benefits, a sole proprietorship also has downsides and risks that are not present in other structures. The owner is personally liable for the debts, liabilities, and losses of the business. Thus, if the business fails to pay its debts or fulfill other obligations and gets sued, the owner’s house, personal savings, and other personal assets are at risk. Most sole proprietorships fail in part because they are underfunded. It is hard to raise capital because banks and other financing sources are reluctant to make loans or invest in sole proprietorships. In most cases, you’ll have to depend on your own financing sources, such as personal savings, home equity, or family loans. A partnership contains many of the features of a sole proprietorship, except it is owned by two or more people. Partnerships can be organized as general partnerships or limited partnerships. Usually when we discuss partnerships, we are talking about general partnerships. Limited partnerships are much more complicated to create and have their own administrative complexities. Limited partnerships are usually not the best choice unless there are several passive investors who wish to have a monetary interest in the partnership but little-to-no managerial powers, especially in the day to day operations of the business. Like sole proprietorships, partnerships are easy to organize, they are flexible, and they maintain privacy. Taxation is fairly simple, as the profits “pass through” the partnership to the partners. Basically, the partnership itself pays no taxes, but each partner claims his share of the profits on his personal tax return. This helps avoid the double taxation disadvantage of corporations. Partnerships are governed according to the partnership agreement. It is very important to hire a lawyer so that you can make sure you and your partners know what you are agreeing to and what responsibilities and duties each partner has. Do not fall into the trap of believing that you and your partner are best friends and you can always work out any issues. 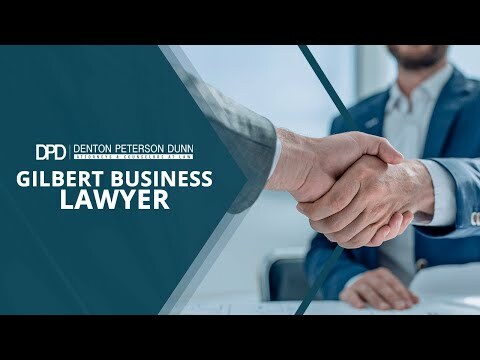 Although we usually do not want to think about what we will do if the business fails, a lawyer can help you protect yourself in the partnership agreement in case things go south—and issues always arise. Many unforeseen problems emerge later in a partnership and the partnership agreement determines in advance how to handle those situations. For example, what happens to one partner’s portion of the company if he becomes disabled? It is also important to plan what will happen if one of the partners wants to leave and how conflicts should be resolved. When partners fail to write effective agreements, one partner will often end up with the short end of the stick, or one partner will not get out of the business what it expected to get out if the business is forced to close. A well written partnership agreement will cost much less than legal fees if an issue arises. On the other hand, from a liability perspective, a partnership is almost never a good choice. A partnership, like a sole proprietorship, exposes its owner to personal liability for the debts, losses, and liabilities incurred by the business. Partners are not only liable for their own actions as partners, but for the actions of the other partners in the name of the partnership. If one of the partners racks up a lot of debt in the name of the partnership, or binds the partnership into terrible business contracts, the other partner’s personal assets may be seized to satisfy the obligation. Furthermore, those who would sue the partnership can choose which partner they want to sue, potentially recovering everything from one partner and nothing from the others. There are two types of corporations, C corporations and S corporations. The main difference between the C and S corporations is how they are taxed. C corporations are the standard corporation. It is a legal entity separate from any of the owners (shareholders), officers, directors, or employees. The biggest advantage corporations provide is liability protection. The corporation itself is liable for the debts, liabilities, and losses of the business, not the owners themselves. C Corporations also have an advantage over other business in raising capital, because of the ability to raise funds by selling stock. Corporations can also provide employees with more incentives by providing potential ownership interest in the company through stock options. Corporations are very costly and time-consuming ventures to start and operate because of the large amount of record keeping and other administrative regulations required by law. You will probably need a lawyer to guide you through the complicated maze of requirements. There will also be higher costs associated with accounting and tax preparation than in other business structures because of the complex regulations. Corporations are governed by a board of directors that is elected by the shareholders and certain corporate formalities must be followed, such as yearly shareholder meetings, director elections, and dividend disbursements. The articles of incorporation and the bylaws will determine how the corporation is managed by the directors and what processes must be followed to make changes to the business. It is imperative that shareholders be very careful when writing the articles of incorporation to help protect their investment. C Corporations also suffer from double taxation. The corporation is taxed on its profits, and then the owners are taxed on any compensation they receive for the work they do in the corporation or through dividends given out by the corporation to the owners. S corporations are usually a better option for smaller start-up companies without major investors. S corporations enjoy the same liability protection as C Corporations but avoid double taxation. S Corporations are taxed in a similar manner as partnerships and LLC’s where the money passes through the corporation to the shareholder owners. However, S Corporations still require the corporate formalities and administrative regulations that require large expenditures of time and money for compliance. An LLC is a hybrid type of legal structure that was created to combine the limited liability advantages of corporations with the tax benefits and flexible operating structure enjoyed by partnerships. LLCs have become much more popular recently, and are usually used as a substitute for partnerships or sole proprietorships. The owners of an LLC are not double taxed, but the profits pass through the business to the owners, so the owners pay the tax on their personal statements, just like partners in a partnership would. LLCs can have trouble raising money because the owners are protected from liability. In many cases, lenders will ask the owners to personally guarantee payment of the debt, thus eliminating the protection from personal liability for that particular debt. LLC’s enjoy much less registration paperwork and much smaller start-up costs than corporations. Many factors are used to determine whether an LLC or a corporation are better for a given business. How the business will operate day to day, how much capital needs to be raised, and how that capital will be raised are some of the factors that are used to determine which structure is better. When determining which business structure is best for your business, taxation, management, record keeping, raising capital, and potential for personally liability are all factors that should be weighed and considered. No structure is always superior. The best structure depends on the goals, operations, and preferences of the owners. A decision should only be made after you have made a detailed business plan and understand each structure’s advantages and disadvantages. Which structure you choose can either save or cost a lot of money down the line. An experienced Arizona business attorney will be able to go through all of the variables with you and help you understand the short and long term impact your decision might have. What Type of Entity Is Most Advantageous For Your Business?